Available on all music platforms TODAY! Today is a very special day! 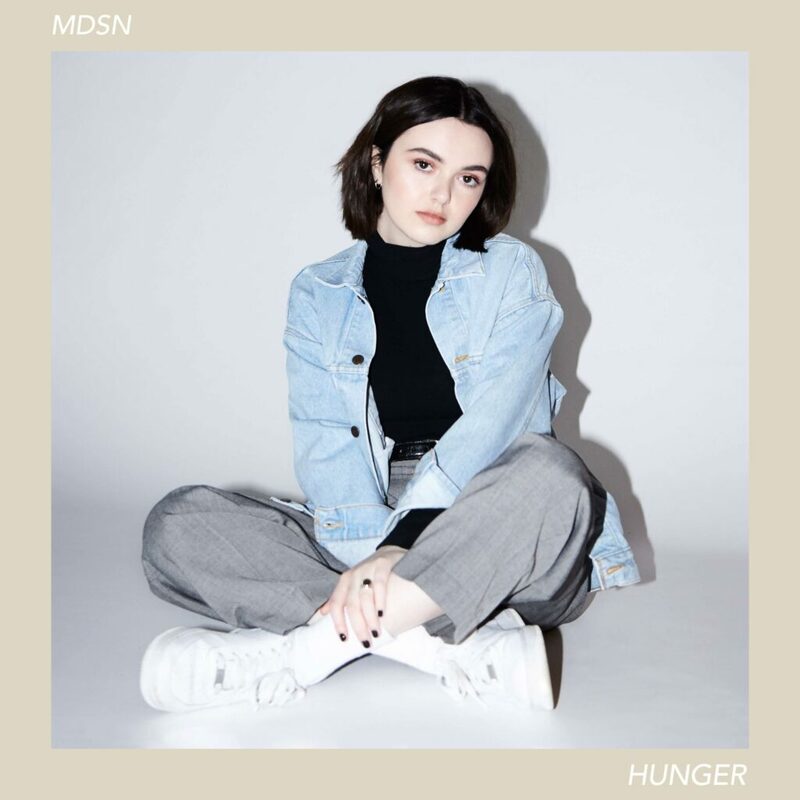 We’re so excited to announce the release of our daughter’s new radio single “Hunger” available on all music platforms! MDSN (pronounced Madison) was featured on our album Dwell and led this incredible song that she co-wrote with Mitch Wong of Planetshakers. Today you’ll get to hear the fresh sound of the radio version of “Hunger,” produced by Kyle Lee and released by Integrity Music. Last week we gathered in the TBN studio in Dallas along with Todd Dulaney, Maranda Curtis, and Jonathan McReynolds and what a night it was! Everyone there, artists and audience, experienced the presence of God. 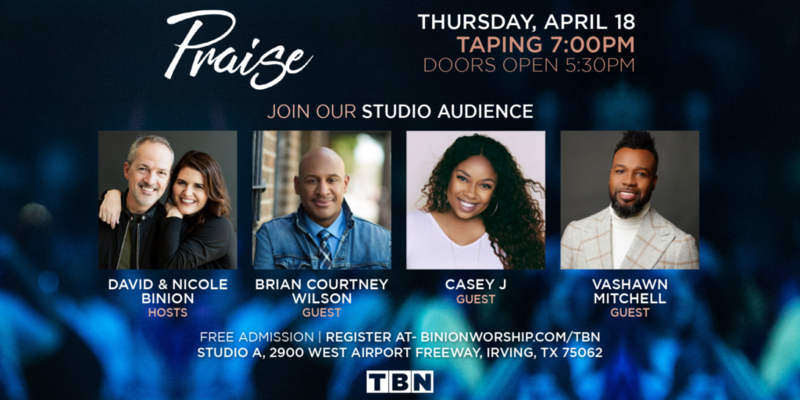 David and Nicole host Jonathan McReynolds, Maranda Curtis, and Todd Dulaney at TBN in Dallas. There were so many great moments in His presence that it’s impossible to identify a favorite one. Was it Jonathan McReynolds singing Cycles, Maranda Curtis singing Open Heaven, or was it Todd Dulaney singing Your Great Name? Just a few days ago David and Nicole hosted Todd Dulaney, Maranda Curtis, and Jonathan McReynolds at TBN in Dallas and what a night it was. The house was packed and God’s presence was tangible. Philips, Craig & Dean at a concert in Austin, TX. 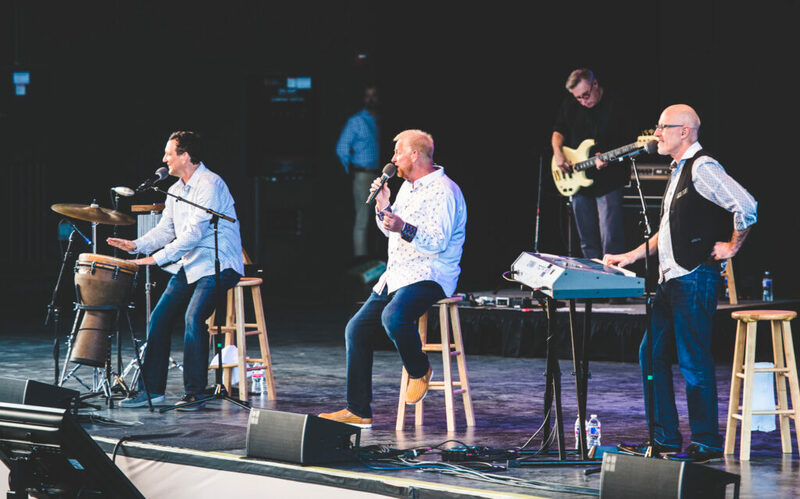 On Tuesday, March 5th, we’ll do it all over again and this month our special guests will be internationally known pastors and worship leaders Phillips, Craig & Dean. This, too, will be an unforgettable, power packed night. David and Nicole will be back at TBN in Dallas for another live recording THIS MONDAY EVENING, February 4. The upcoming Praise! special event Diversity in Worship will air on TBN soon after it is recorded. 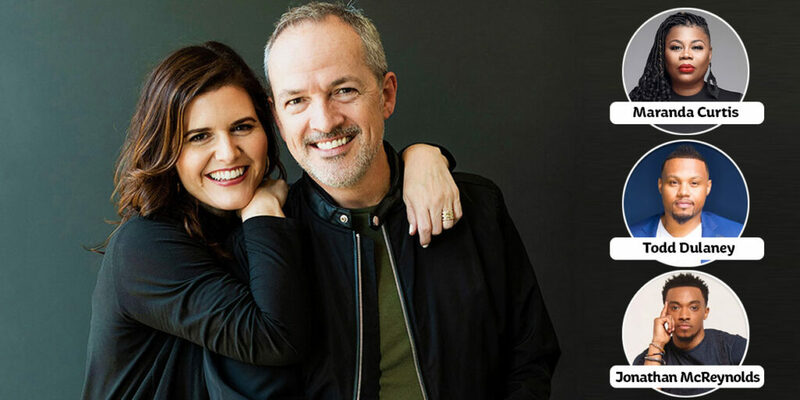 This will be David and Nicole’s first time back in the TBN studios after the live recording of their latest album there in 2018. The TBN live stage is set for an epic night and we want YOU to be a part of the strictly limited studio audience.